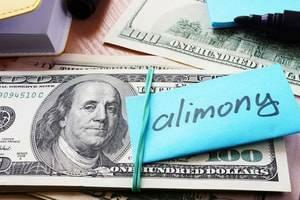 A divorce settlement may require a higher-earning spouse to pay monthly spousal maintenance, also known as alimony or spousal support, to a lower-earning or stay-at-home spouse. The divorce decree will specify the amount of the monthly payment and the duration of payments. If the decree specifies “indefinite” payments, you might assume the payments are guaranteed to continue until the recipient dies or remarries. However, the use of the term “indefinite” does not guarantee the recipient payment of maintenance for life. It is important for both spouses to understand when and how an award of maintenance could be modified in the future. If a spouse expects to depend on a fixed amount of income for the rest of their life, extra care must be taken in drafting the marital settlement agreement. The Illinois appellate courts have ruled that both the duration and amount of spousal maintenance can be modified upon a showing of a substantial change in circumstances, meaning that either the recipient’s needs have significantly decreased or that the payor is no longer able to pay. You also have the right to appeal court decisions regarding maintenance. In one recent Illinois case, a couple had been married for 18 years, had three children, and divorced when they were both age 49. During the marriage, the wife was a full-time homemaker while the husband earned over $250,000 per year as a bank executive. At the conclusion of the divorce, the wife had assets worth $1.7 million and the husband had assets worth $2.3 million. The wife was awarded maintenance of $5,000 per month for five years. Toward the end of the five-year maintenance period, the wife petitioned the court for an extension of maintenance. The wife’s earning capacity was estimated at $30,000 but she was unable to maintain gainful employment due to a back problem. The judge found that the wife had sacrificed development of her career to stay at home for the family and that she had thereby helped advance the husband’s career. The judge further found that the wife could not “live the lifestyle of the marriage” on her $60,000 per year of investment income. Given the long duration of the marriage and the other considerations, the judge awarded the wife indefinite maintenance of $5,000 per month. Five years after that, the husband petitioned the court for termination of maintenance based on an involuntary change in circumstances, citing a job change which cut his income in half and the fact that he was nearing retirement. The trial court stated that it could not legally terminate an existing court order that specified “indefinite” maintenance. Either party could have appealed that decision at the time it was made, but neither did; therefore, the order must stand. The husband appealed. The appellate court declared that the lower court was in error and that the lower court does, in fact, have the authority to modify an order for “indefinite” maintenance when there is a substantial change in circumstances, which existed in this case. Use the lump-sum buyout approach, which involves the transfer of some of the payor’s assets to the recipient spouse, allowing the recipient spouse to make fixed monthly withdrawals of income. Your divorce attorney, perhaps working in conjunction with a certified divorce financial analyst, can advise you regarding appropriate options for your specific circumstances. If you need to ensure long-term financial support for yourself after a divorce, talk to a knowledgeable Lombard, IL spousal maintenance lawyer. Call Mevorah Law Offices LLC at 630-932-9100 for a free initial consultation.